An RoHS-compliant microcontroller board released by Micro/sys provides a low-power solution for systems needing a large amount of industrial I/O in tight, remote spaces. An RoHS-compliant microcontroller board released by Micro/sys provides a low-power solution for systems needing a large amount of industrial I/O in tight, remote spaces. The MCB58, part of the Micro/sys SNAP series of microcontroller boards, is based on the Freescale (formerly Motorola) HC(S)08 microcontroller and measures 3.55” x 2.65” x 0.5”. The MCB58 typically draws a low 300mW while running at its fastest speeds and executes with a 50ns instruction time. The wide assortment of I/O on the board makes it ideal for handling simple control requirements and for communicating back to a host via serial or CAN. 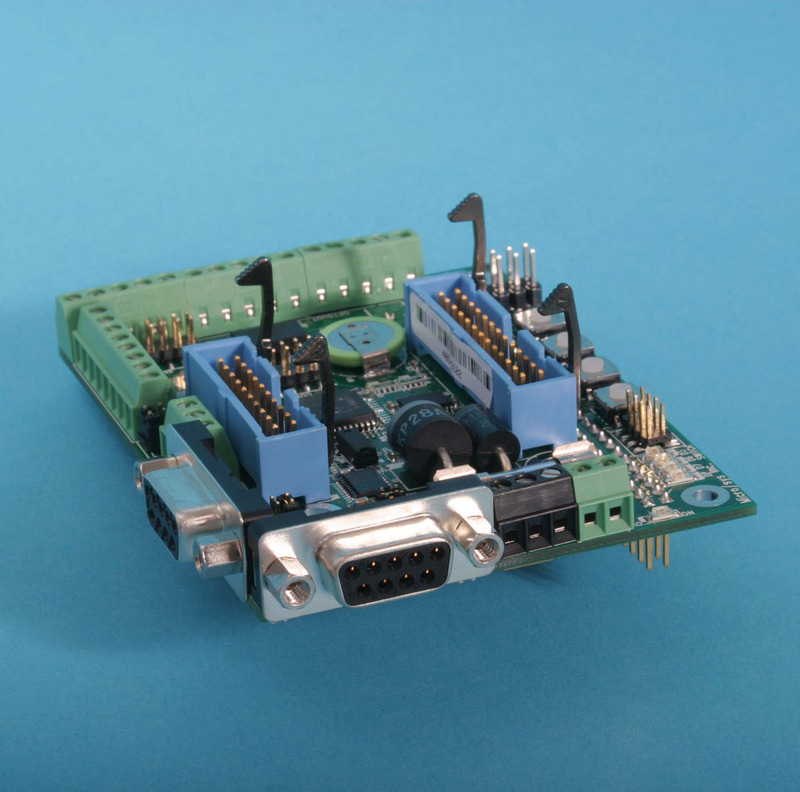 The MCB58 includes an RS485 serial port, four isolated digital outputs, four isolated digital inputs, and 24 additional lines of TTL-level digital I/O. There are filters that allow four channels of PWM to act as four independent digital-to-analog converters (DACs). Also included are an onboard temperature detector, a real-time clock, a control area network (CAN) interface, and a 16K serial EEPROM. Additionally, the MCB58 can interface with the industry-standard PC/104 bus, which allows access to a wide range of I/O. The MCB58 has 60Kbytes of program/data flash and 4Kbytes of SRAM. The highly efficient Metrowerks CodeWarrior compiler, which is included in the development kit, combines the simplicity of drag-and-drop software module “beans” with a powerful C compiler. Programs can be compiled, downloaded to the onboard flash with the provided serial cable, and then debugged without leaving the Integrated Development Environment. Single quantity pricing is $95 for the MCB58. OEM discounts are available. Contact Technical Sales Dept., Micro/sys, Inc., 3730 Park Place, Montrose, CA, 91020, phone (818) 244-4600, FAX (818) 244-4246, URL: http://www.embeddedsys.com.